Lisa Goldman and Hindsight earned their place in the winner's circle for the $35,000 HITS Grand Prix at Balmoral Park, pictured with her Red Coat Farm support team. Photo Andrew Ryback Photography. Crete, IL – May 20, 2017 – Wrapping up the second official week of showing, the new HITS Balmoral Park is in full swing, definitely showing the versatility of the venue by hosting three horse shows on the property. Once a thriving thoroughbred racetrack converted to a harness racing track in 1991, the facility has once again been renovated and revived thanks to HITS. 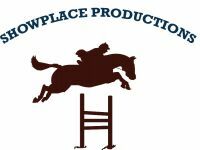 Showplace Productions hosted a Northern Illinois Hunter Jumper Association (NIHJA) local show, an Illinois Hunter Jumper Association Show (IHJA) local B show and the Showplace Spring Classic II national horse show on the spacious grounds. Jennifer Welhouse, Poynette, Wisconsin, and her customers show on both the A and B circuits and support moving riders up the ranks as they are able to. She won the ChicagoEquestrian.com Hunter Derby at the IHJA B show this weekend on Christine White's Prettiest Iron Yet. 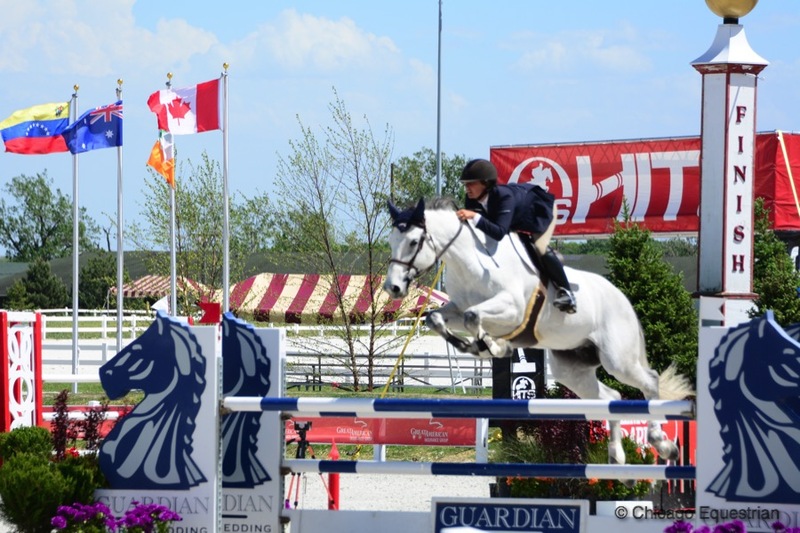 A 2’6” fence height allows riders to experience a derby at their level and then move on to the Devoucoux and USHJA National Hunter Derbies. 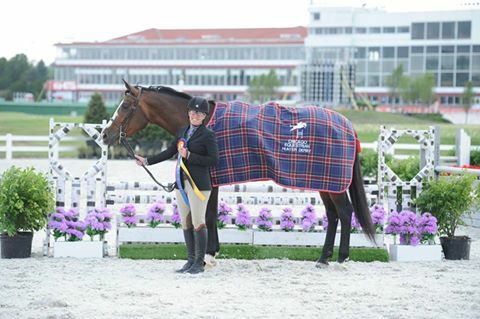 Jennifer Welhouse and Prettiest Iron Yet won the Chicago Equestrian Hunter Derby during the IHJA B show held at Balmoral Park. Photo Andrew Ryback Photography. Perfecta Farm, Elgin, Illinois, and trainers Kim Gardiner and Mara Kranz-Olseng had riders at both the A and B shows as well. Perfecta Farm caters to riders of all levels and was glad to have the chance to bring everyone to the show. 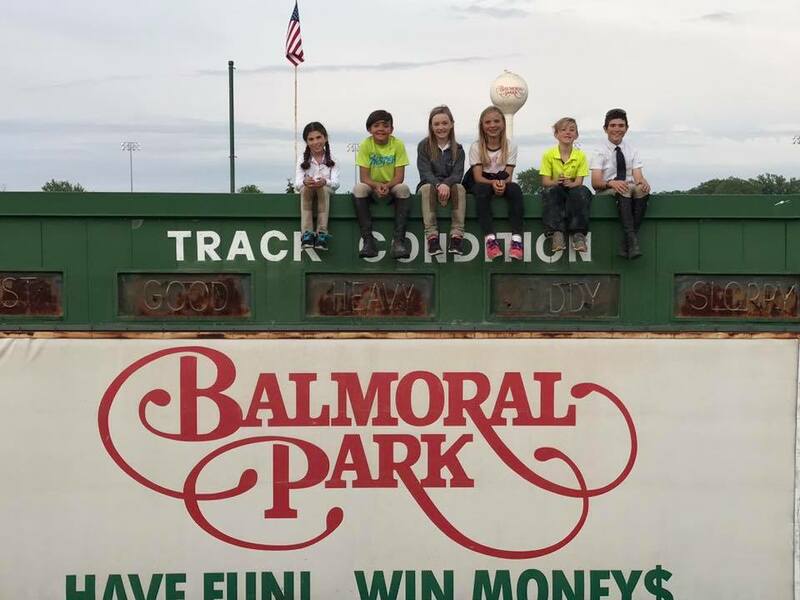 Young riders check out the track conditions at the new Balmoral Park. The grandstand was a flurry of activity as well, packed with equestrian vendors, food vendors, a full bar and VIP seating and hospitality with a front row seat to the Grand Prix Ring. The feature event in the Grand Prix ring was the $35,000 HITS Grand Prix, displaying another eye-catching track by designer Oscar Soberon. Spectators and eager young riders watched hometown favorite, Lisa Goldman, speed to victory on the mount she toured Europe with, Hindsight. Stopping the clock at 35 seconds flat, Goldman was tough to catch as she showcased her trademark jump off gallop. Lisa Goldman and Hindsight galloped to victory in the $35,000 HITS Grand Prix. "We're really loving it here," said Goldman. "We changed some of our plans to stay and continue to show here. The horses like it here and are happy which is good for everyone." 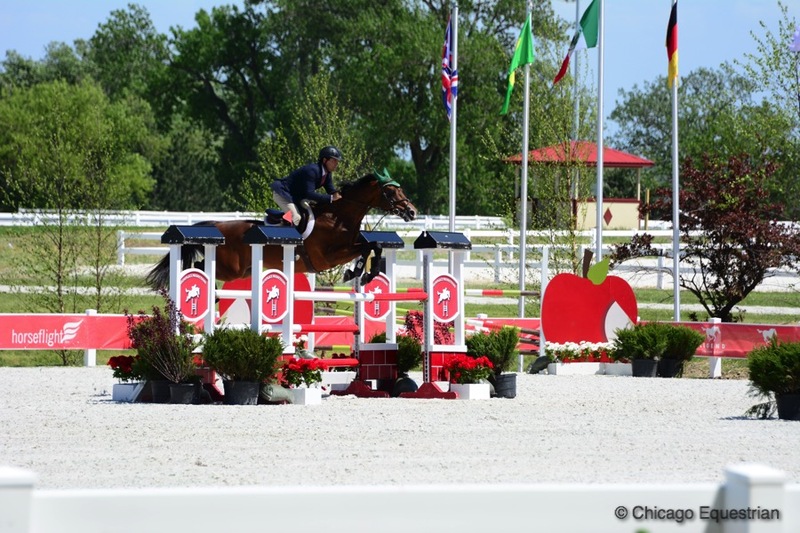 Steve Schaefer and Caribe have earned top placings in the Grand Prix Ring during Balmoral's opening weeks. Chicago’s Steve Schaefer, known for his fast jump off skills, was the only rider to get close to catching Goldman and Hindsight, with his time of 36.650 on his trusty Caribe, beating out Goldman and Centurion B's 36.690, by fractions of a second for the red ribbon. Doug Boyd, Mettawa, Illinois, and Sapphire Riding Academy’s Berkley III put in the final double clear round for fourth, tripping the timers at 38.870. Boyd, who also shows at HITS Ocala during the winter, plans to stay at Balmoral Park for the summer. Doug Boyd and Berkley III plan to stay at HITS Balmoral for the season. Photo Chicago Equestrian. 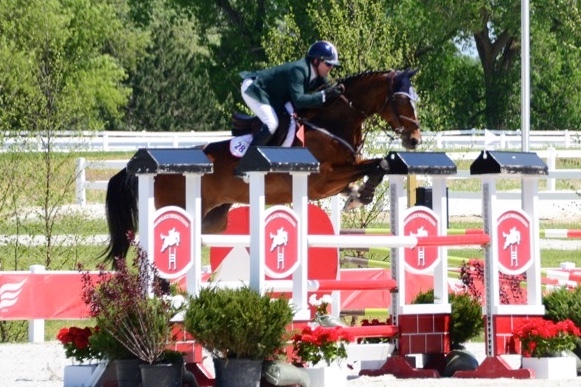 Earning the $2,500 GhoDho U25 Jumper Classic was William Hickey on Alex Jayne’s Show Show. GhoDho creates runway worthy, city inspired and everyday wearable breeches and shirts and supports the U25 at Balmoral Park. 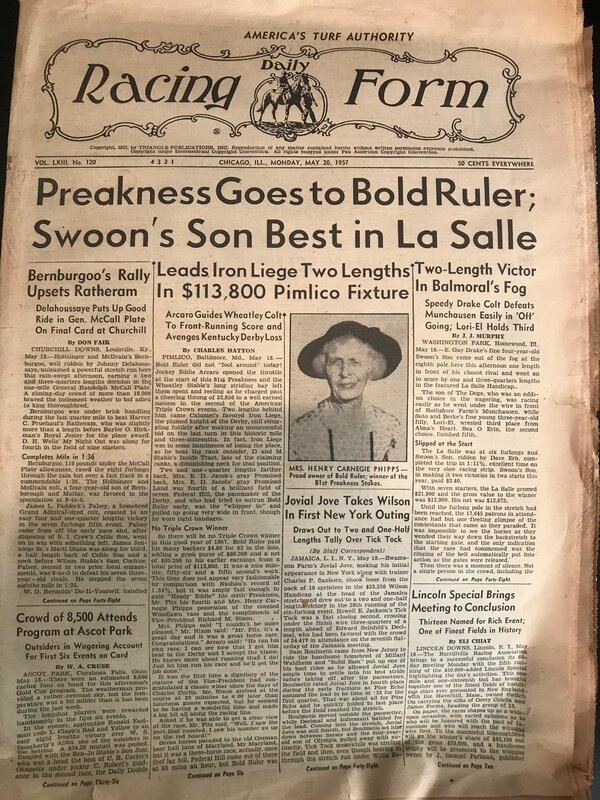 This racing form dated May 20, 1957 was discovered in the Balmoral Park archives with the results of the Preakness with the win going to Bold Ruler, owned by the Phipps family. Bold Ruler went on to sire not only top race horses, but also top hunters and jumpers. 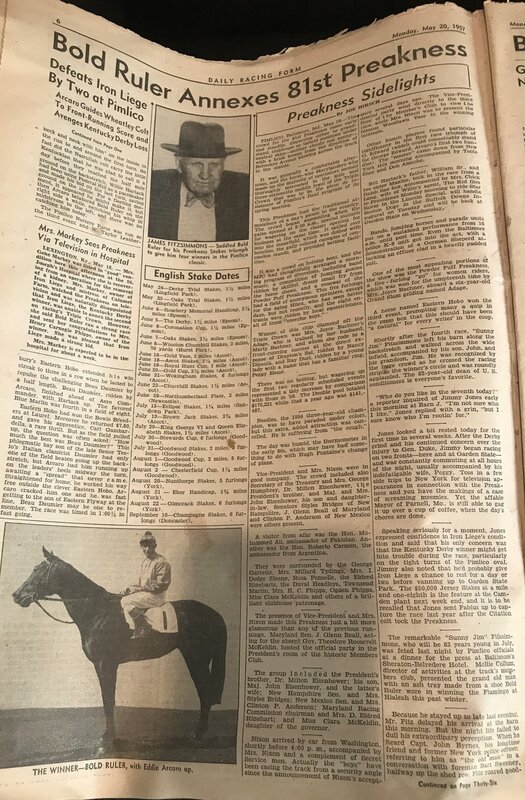 The Phipps' were major players in the horse industry including Ogden Phipps, who lost the colt Secretariat (out of Bold Ruler) to Penny Tweedy in a coin toss, only to later buy in as a partner before his triple crown win. Bold Ruler hunters were known to be a bit unpredictable in personality and would either win big or go home empty handed after pulling a prank at the horse shows. Many local horsemen purchased race horses from the Balmoral Park stables and turned them into successful show horses. 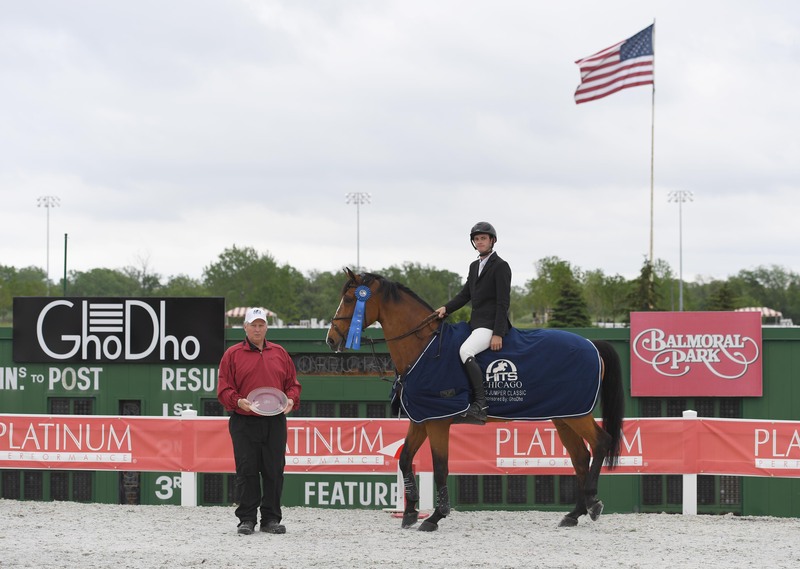 Competition continues next week for the Showplace Spring Classic III followed by one of Chicagoland's favorite horse show series, the Showplace Spring Spectacular for three weeks including the incredible Derby Tuesday! For more results or prize lists and schedules, visit www.hitsshows.com.